As estimated and released by the Election Commission recently, there will be more than 100 million first-time voters in the 2014 elections. It’s a number big enough to warrant the youth bracket its very own etymology–ballot virgins–and big enough to ensure that no political party spares any expense as far as wooing young India is concerned. Case in point, NAMO’s ludicrous ‘youth anthem‘ that grabbed (and hopefully amused) eyeballs just a few months ago. It is perhaps due to this skewed voters’ proportion, combined with an age of electronic media, that the elections thus far appear to have been far more about personalities than it has been about policies. People are craving a 180 degree shift in the politics of this country and it’s becoming more and more apparent that they believe that a younger representation might be the key that unlocks the same. Call it superficiality or call it exasperation, the writing in the sky is clear and young India seems determined to have its say. In an effort to give the segment a voice, Homegrown managed to catch up with an MP who happens to represent the young political scions’ club rather well. 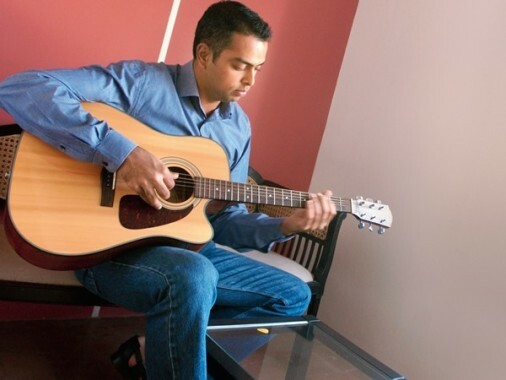 With two (reasonably) successful Lok Sabha victories to his credit, we couldn’t help wondering just how confident Milind Deora really feels about securing a hat trick triumph amidst the wave of anti-incumbent propaganda that’s been making its way around, whether he deserves to at all, and just how committed he really is to the youth’s causes both in his constituency and beyond. Read on for the full script. I. Why should the young vote for you? Well, because I have tried to engage with them in the last five years far more than most other representatives have. I can give you a few examples of what we have done. I’m the first MP in the country to have created something like the youth parliament initiative where we basically created mock parliaments in each college. Only the brightest students have been selected and so far we’ve already taken about 600 kids to Delhi in the past 5 years. 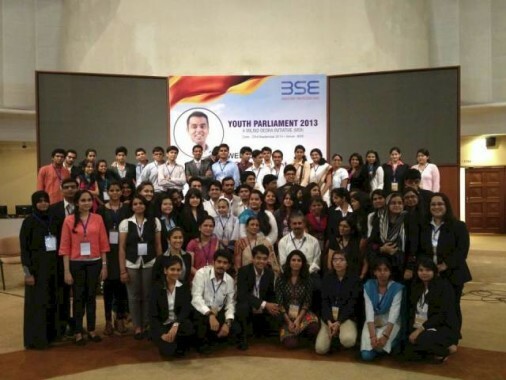 I think it’s important to give the youth a 360 degree perspective of how parliamentary democracy works so they get to visit parliament, meet leaders like the speaker of the Lok Sabha and Rajya Sabha, spend time with journalists and then we even host mock parliamentary debates. It’s a hands on way of giving them a complete civics lesson and I think it’s really succeeded in making them less apathetic, more informed before they go out and actually cast a vote or take part in the political process. And these kids, when I interact with them today whether they’re volunteering for me or working for me in my election, when i compare them to so many others there’s a massive difference in their knowledge; in their ability to understand issues. Plus their perspective on politics itself is very different. Another initiative i’ve focussed on a lot is creating skills development and job fairs and this is more for the underprivileged and the needy. We’ve created a skills development program in the last five years which has gotten, again, thousands of people jobs…and it has kind of debunked the myth that you can only get a job if you have studied at a particular college, done so well in your studies, you’ve got this kind of work experience. We’ve used the model of vocational training pertaining with the government, with private companies to really get people access to jobs employment and entrepreneurship opportunities. II. Would such programmes be your counter to those criticising you for focussing more on the wealthier citizens in your constituency? If not, how would you counter these accusations? I hear criticism from both sides, just depends on who i’m talking to. If i’m speaking to an English publication i’m typically accused of only catering to the underprivileged and if i’m talking to a vernacular medium, i’m accused of the opposite. It’s the nature of South Mumbai. The truth is we’ve done both and my football event is a good example that again, we started about five years ago. We’ve got about 16,500 kids from all kinds of backgrounds (from a Cathedral that I went to to municipal schools) who have participated over the past five years and we’ve made sure there’s no discrimination. We give them the same equipment, shoes, jerseys and everyone on that field is an equal. 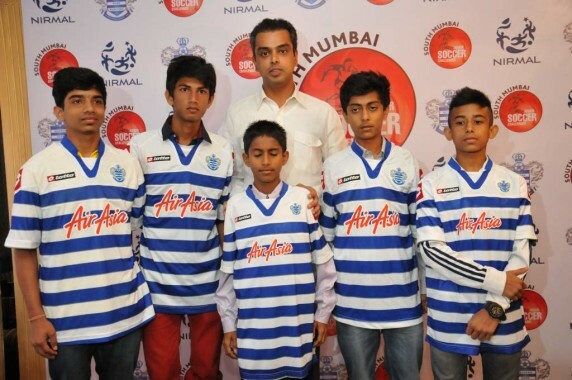 Some of them get selected to to go to London and then actually train with Queens Park Rangers (our partner) so you know, these are the kinds of things i’ve done for the youth which is clearly not class-centric and obviously, not even vote centric because these are school kids we’re talking about. It’s about empowering youngsters at an earlier age through sports & recreational activities, it’s about making them aware. Just getting back to that first question though, all of these pointers are good factors but the real reason I believe the youth should vote for me is because I have always spoken for their future. Just a few months ago I spoke against the ordinance which would allow criminals and convicted people continue to be MPs and MLAs. I spoke against it, I was the first person in the country and I did that solely for the youth. I felt that our parents’ generation had simply gotten used to living with the fact that there are criminals in our parliament and I did not want future generations to go down that same road. Similarly, I spoke on RTI in 2005 where I initiated the debate and even then my target was the youth because they are the ones who will live and benefit from the RTI era. So yes, these are the areas where I use my voice as an MP. To ensure that the youth get the right kind of governance that they need. IV. As one of the younger MPs, do you feel that you have as much of a voice as those who have been around longer? Actually, I think I work in a profession where you see the extreme diversities of age. I mean i’ve worked with a prime minister who’s a very senior person and I think in a country like India what you need is a mix of the two. There needs to be that balance between age and experience and youth and enthusiasm. As young people we tend to think we have solutions to all the problems but the truth is we don’t. You’ve got great responsibility in the government and you need to be thinking about that. Whether i’m debating an e-governance initiative in my ministry with the prime minister, his understanding of how governments work and how to take people along..all of that is invaluable for me going forward. We need both and I think most of parliament is in agreement on that. 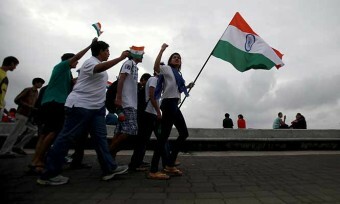 V. Mumbai’s youth is often accused of political apathy. Since you’ve spent a lot of time between both Mumbai and Delhi, would you concur with this statement? Of course Delhi is a far more politically active city than Mumbai and it’s the same with the youngsters. But even the young ones in Delhi (and this is why really getting them informed through youth parliament is so important) they’re swayed easily. Four months ago, I was visiting a college in Delhi and all the students were incredibly excited about one particular party. Skip ahead to three weeks ago and they were completely disillusioned with the same party. VI. So what kind of advice would you give them to empower their choice? Exactly. This is where my message to youngsters comes in. You can’t say “Oh i made a mistake, I regret voting for that party, they were clueless and they screwed up my city.” You have to be smart. What i told these same kids 3 weeks ago is that in hindsight you are looking back and saying you made a mistake but how do you have the foresight to know what you’re doing so you don’t make that mistake. This is where real awareness comes in. You need to be completely informed about exactly what a party can do for YOU. What’s good for for you, what’s bad for you? What is the fundamental difference between administrating and agitating? When I saw the complete shift in over 90% of the kids I met in Delhi, I had to tell them it just wasn’t good enough. Because they’re lucky that that took only 50 days to implode but what if it had lasted for five years?! VII. But wouldn’t you say that you made the same mistake as them? You were one of the few people who moved to support the AAP from within your own party. That’s true. I really wanted to give them a chance but ultimately, for me the biggest and saddest moment was when they quit. That’s when I lost respect for them and simultaneously had to face a lot of flak from my party for even suggesting our support. Truthfully, I had no answer to give them. I had known that they wouldn’t be brilliant at administration but when Kejriwal simply said “oh i’m quitting, i don’t want to do this,’ that was terrible. That’s what ultimately convinced me that they were only here for the agitation. They get full marks for their agitation skills but zero on hundred for administration. Even then, the good news is at least now the youth is aware. They know not to give themselves a chance to regret again. VIII. Give us some personal analysis. Where exactly do you feel they went wrong in their governance? It’s about understanding the big difference between agitation and administration. I think highlighting problems, is very different from having solutions to problems. In every organisation, whether it’s your college, your homegrown magazine, there’s enough people who will say, “This is the problem. Look at this problem.” It’s those who have solutions and know how to fix it, can fix it, want to fix it are the ones you want to trust and you want to work with, and make things move forward. I think their biggest problem was that they had set different standards for themselves and different standards for others. They didn’t hold their own leaders who were accused of controversies, to the same ideals and standards they held others and people saw through that. I think the truth is they promised a lot with their agitations but they simply weren’t able to deliver that on ground. IX. Let’s talk about factors the youth is likely to consider when it comes to their vote. As a musician yourself, how important do you think it is for them to consider their creative freedom and just how much a party is capable of limiting their creative expression? It’s a huge aspect and it comes down to what kind of environment is being created in the country to allow them to express themselves freely whether it’s creatively or otherwise. Just look at the parties out there today. AAP clearly (and it’s not me saying this) has a huge lack of respect for women. It’s own founding member has said this and they didn’t even apologize once post that Delhi fiasco! 10. There are plenty of conflicting stories about that though. Besides, wouldn’t you say there’s something to be said for people who wear their intentions on there sleeves versus the ones who hide behind a facade of morality? Whatever it is. No one’s saying anything about people being right or wrong. If tomorrow I file a complaint against you, saying you’re running a racket in your house and the police barge in without a warrant, forcibly take you to some place, it’s violating your most basic fundamental rights. There’s no doubt about it. Only a legal probe can decide what’s right or wrong and even the judicial probe proved them wrong. And secondly, i think this is about a larger issue of equality. If you are a party who can judge and say “I don’t think gays should have equal rights” then you can apply the same thing to religions to gender or anything. I’m proud to say that we were the only party to come out and speak in favour of the LGBT community in India and of removing 377. No other political party did the same and in fact, the BJP went out to say that they are for 377. I think it’s extremely dangerous in our country because all the other parties out there, be it the BJP or Mumbai’s Shiv Sena, AAP etc. I think they all have to at least some extent chauvinistic, feudal mindsets. My party is dead against any of that and that I think is a very big fundamental difference. [looks distracted] We need to wrap this up in 2 minutes, is that ok? 11. Ok, let’s lighten the mood a little. Modi or Kejriwal for PM? You have to choose. 12. And if you were to be re-elected, what album would you choose to play in celebration? [Laughs] Hmm..I don’t know. Depends on the win i’m celebrating but probably Kings of Leon’s new album or something. 13. 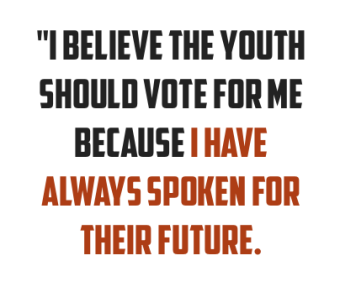 Finally, what is the one thing you intend to do for the youth in this term, if you do get re-elected? Definitely expand what i’ve done with both the youth parliament and skills training but not in an arrogant way that says “I know it all and I have the solutions and answers for all of the youth’s problems.” I want to do it in a way that’s far more participative and one of the things I definitely want to do, which is an idea people have brought about in the past few months, is to set up a youth and advisory student council which will be comprised of the brightest young minds, student and non students who can guide me, work with me on expanding some of these initiatives both at a South Mumbai level and at a national level. So I want to give them the platform to work with me and be my advisors and my team, who can, you know, if there’s a bill coming up before the parliament which relates to youth, or the youth policy of the government of India, they can help guide me in what I should be doing in my role. That’s something that I will definitely be doing in the next term.